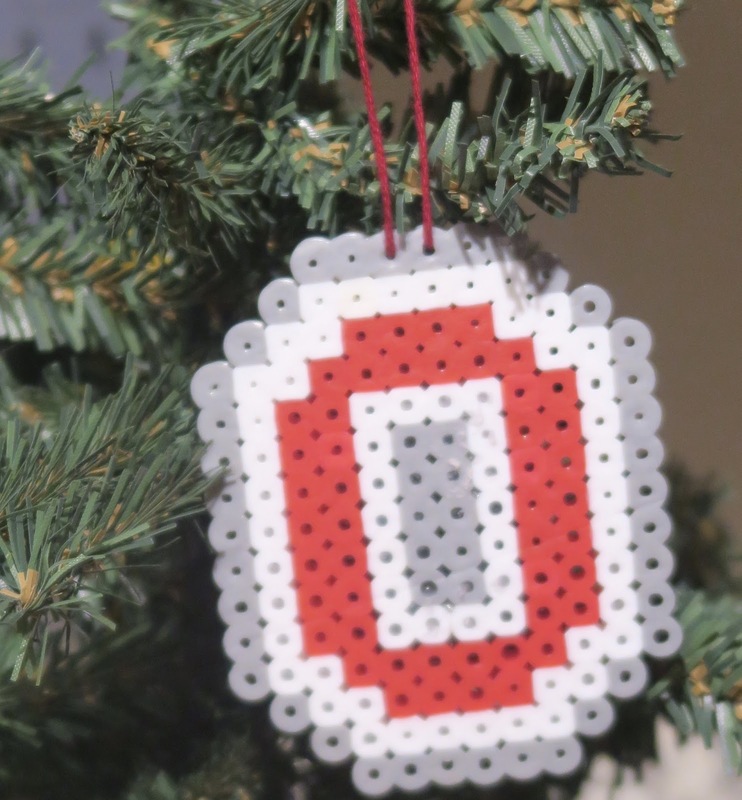 Crochet, Cook, Create: Ohio State Buckeyes! We bleed Scarlet and Grey in this house...so it should be no surprise that I would make an Ohio State Buckeyes ornament for our mini 'Charlie Brown' tree. Football was never my favorite sport, but since marrying Daniel and living together, I can seriously go nutty at the TV (not that the TV responds!) during a game. This is super fun and easy! Enjoy making these with your kids, they are memories to cherish forever! We write the date and year on the back of our ornaments!